Callum is a left-midfielder from Leicestershire who caught the eye of both Paul Driver and on separate occasions playing for the Leicestershire Representative Squad. A strong left back who likes to run at defenders, he was offered a youth contract after his performances for the Diamonds Under 18’s in the Puma Junior Alliance, particularly at Aldershot. 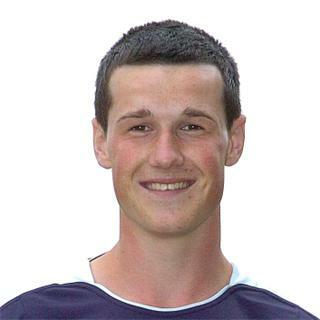 During his time as a first year scholar he was a regular for the Under 18s in the Football Combination Youth Alliance – Midland Division, scoring 8 goals, and at the end of the 2009/2010 season, he won the Most Improved Player of the Year award. 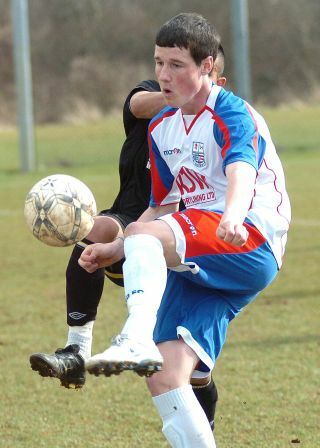 He moved into the second year of the scheme for the 2010/2011 season, aged 17 at the start of the Football Combination Youth Alliance – Southern Premier Division season. On 12 October 2010 he made his first appearance at first team level when he appeared as a substitute in the Hillier Senior Cup game against Daventry United. He went out on work experience to Spalding United and then in early 2011, went to Raunds Town as well as helping the Diamonds Youth Team reach the Final of the Midland Youth Cup. After release from Diamonds, Callum signed for UCL Premier side Spalding United on 8 July 2011, but left the club in mid-March 2012. He returning for pre-season training the following season and continued to play for the Tulips, until signing for UCL Division One side Oadby Town on 30 November 2012. He left at the end of the season, following former Oadby manager Lee Harriman to NPL Premier side Barwell for the pre-season, and then signing for them in August 2013. He was unable to gain a regular starting place, and left on 7 October 2013 to join Midland Football Alliance Premier side Quorn. After a short spell with the club, he rejoined Oadby Town on 13 December 2013. Callum left at the end of the season, and joined East Midlands Counties League side St.Andrews in August 2014. He made the short move to Leicester Road FC in 2016.